Get the sound and appearance of a classic '50s Strat pickup with the Antiquity Texas Hot RW/RP pickup from legendary hardware manufacturer Seymour Duncan. The RW/RP version is designed for the middle position and comes with screws, schematics and vintage "push back" cloth braid hookup wire. 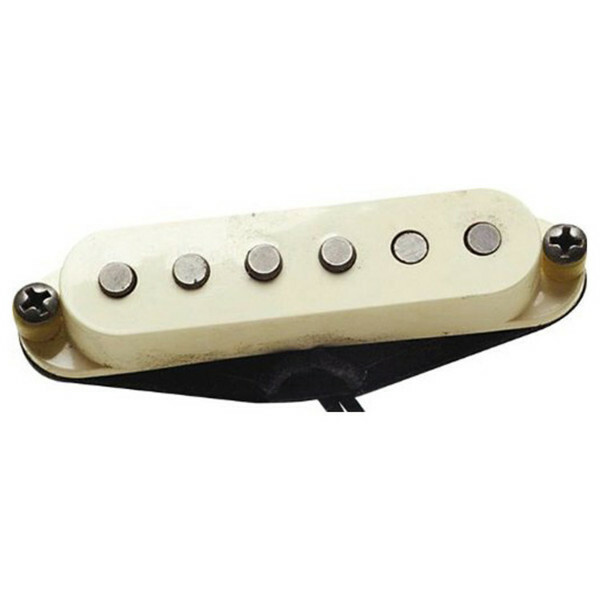 The Seymour Duncan Antiquity Strat Texas Hot RW/RP is a carefully assembled and hand-wound pickup. The Texas Hot RW/RP provides the appearance and sound like of a classic Strat and even details like scatter-winding have been take care of. If you're looking for a close replication of a vintage pickup, this may just be your find. It's not just about the classic look with the Texas Hot RW/RP to give it that vintage appeal. Like the early vintage models, the magnets are calibrated and the coils are wound "top going" with "north" magnetic polarity,. Each Texas Hot cover is individually aged. Each Antiquity Strat Texas Hot pickup comes with screws, schematics and vintage "push back" cloth braid hookup wire.